I do not pretend to being a fashion historian, however this I know; I appreciate arts, and mostly talent. And there’s no talent like Yves Saint Laurent’s. A man to whom I will always be grateful. 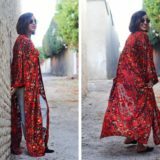 Not just for empowering women’s style with him launching the female tuxedos and suits a few decades back, but mostly for putting Morocco, and more specifically Marrakech on the fashion map. 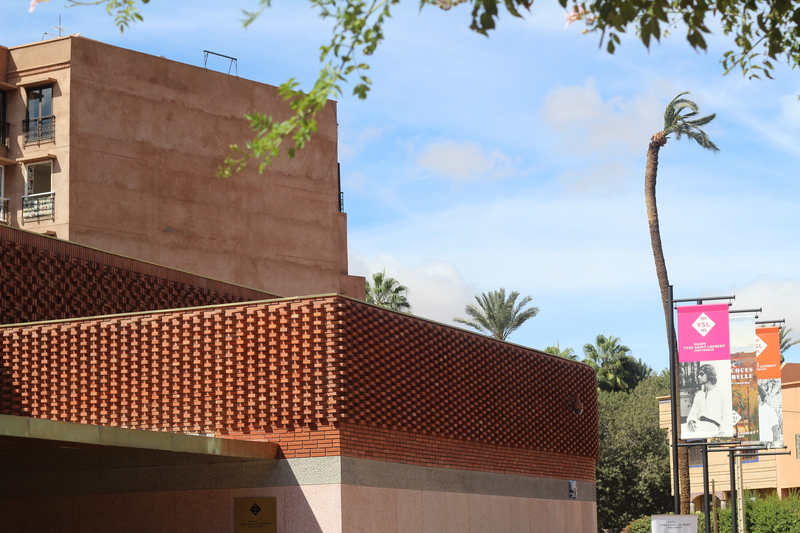 Ever since I have read that a Musée Yves Saint Laurent Marrakech was being built, I started stalking the Fondation Pierre Bergé – Yves Saint Laurent for the inauguration date. This excitement actually goes beyond my admiration for the designer’s work. 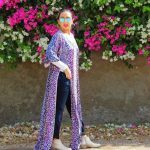 I mean let’s be honest, I live in Morocco, so my chances of visiting a museum or even an exhibition dedicated to a fashion designer of Saint Laurent’s calibre are quite limited. 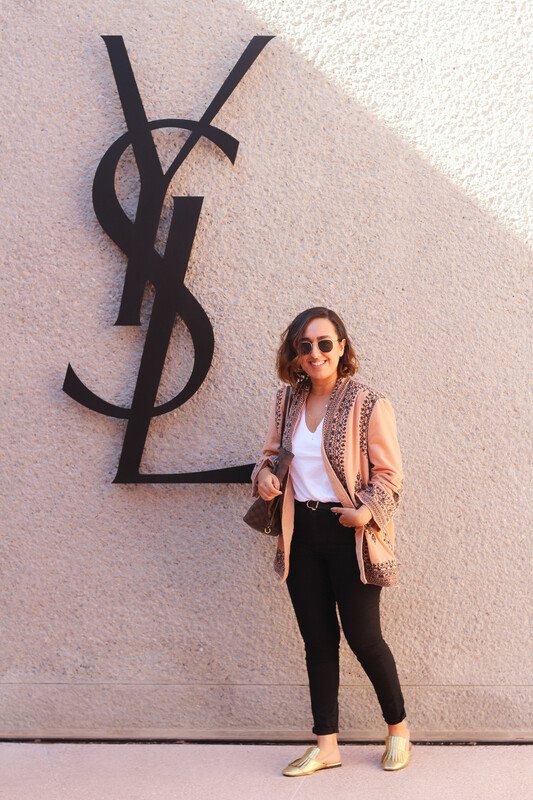 Thus, it comes as no surprise that on the very first day of the museum opening on the 19th of October, there I was queuing up at 10 am to witness the magic of YSL. So, let’s get to this visit, or what I would call this experience, meticulously architected by the brains behind the musée, including the late Pierre Bergé. 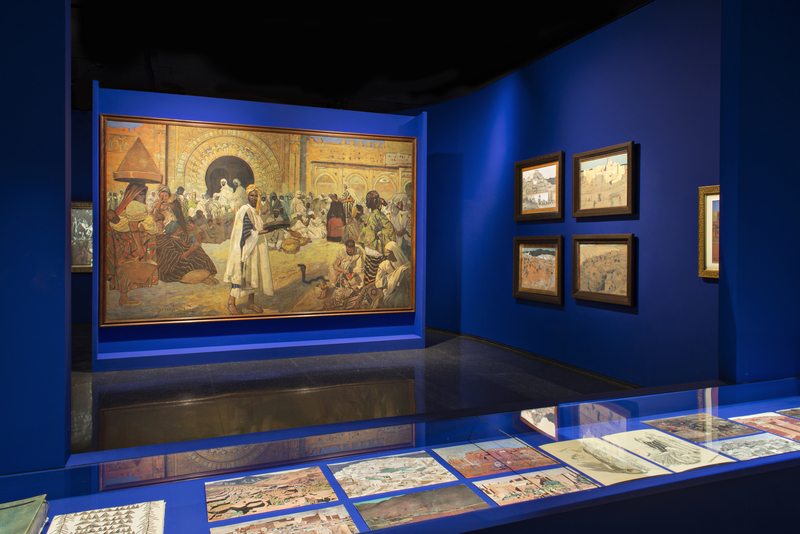 Starting at the temporary exhibition space, with Jacques Majorelle’s paintings of Morocco. It felt like foreplay of what is to come. 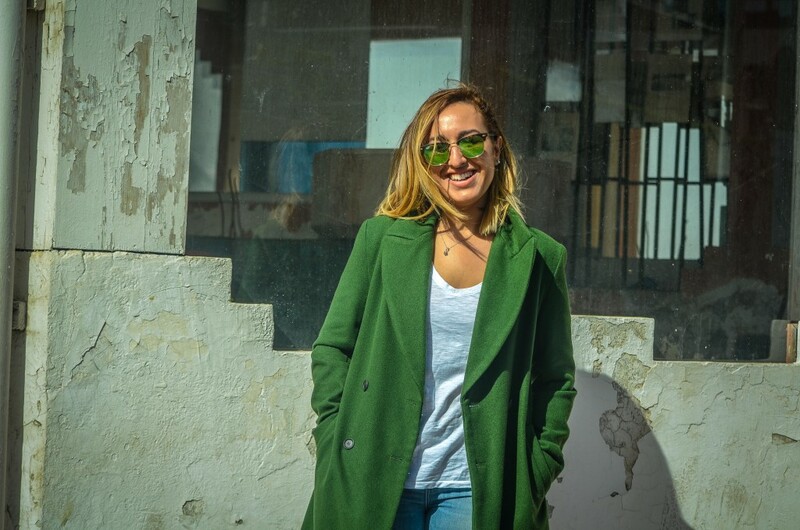 Hung on a “Majorelle” blue wall, the paintings were an enchanting representation of Morocco in the first half of the 20th century, and its strong and beautiful women. I felt proud to belong to that land! 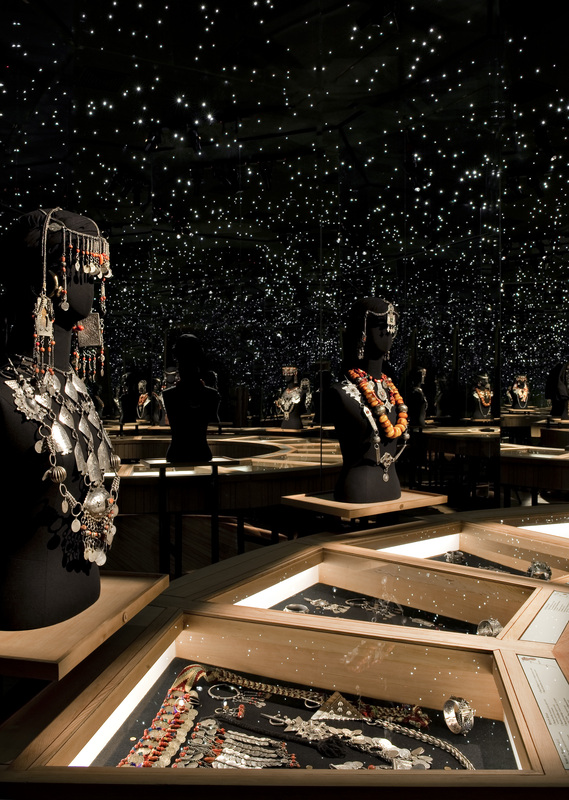 Then, comes “La pièce de résistence” of the Musée Yves Saint Laurent Marrakech, the 400 m2 main space. Stimulating almost all the senses; the whole room felt like it was alive. 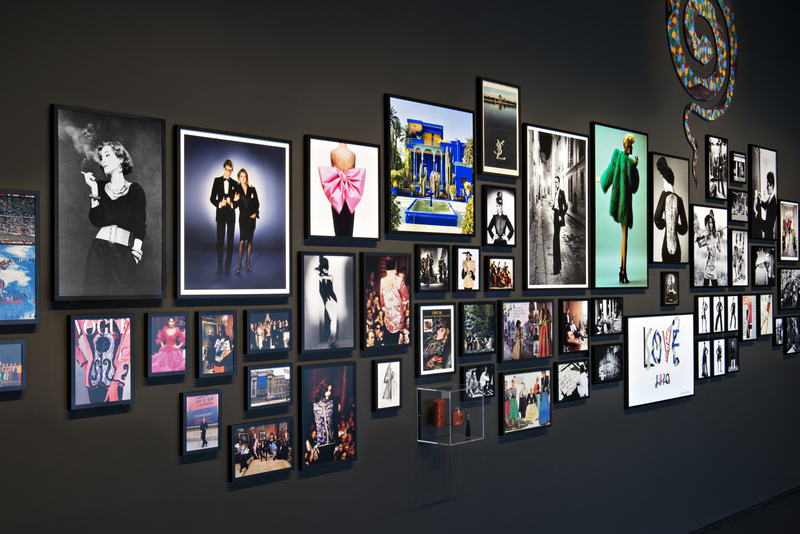 First there is the wall covered in photos of milestones in Saint Laurent’s long and successful career. Starting with a letter that he wrote from his birth place of Oran to Condé Nast in Paris regarding his work with Christian Dior, to some of his model muses dressed in the most iconic YSL pieces, and of course a few historic Vogue covers. Already overwhelmed by “The Wall”, then comes a rolling projection representing life sized sketches made by the designer himself. It felt like being there with him when he was drawing. Trying to make my way through the already filled room, I finally get to be a few centimeters away from some of the most iconic designs that the world of fashion has seen. The 6O’s tuxedos and suits, pieces from the iconic “Russian” collection, gowns inspired by the great works of multiple painters, a breath-taking accessories and jewellery collection. 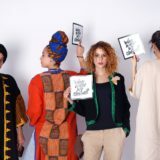 The Moroccan inspiration was palpable in the whole exhibition. And while, I was more focused than ever trying to take in all what I have seen so far, I was hooked by Yves Saint Laurent’s voice in the background, where you could hear him saying some of his most famous quotes. It felt like I was interviewing him in my head! After coming out of what felt like a rollercoaster of beauty, I needed to take a seat. Fortunately enough, it was time to step inside the auditorium where we got to watch some of YSL’s most famous fashion shows. Including the 1998 Football World Cup show at Stade de France, and Saint Laurent’s final runway show announcing his retirement. The whole museum tour felt like a Sacred visit to me, where I have had the honour to witness an artistic phenomenon from close. 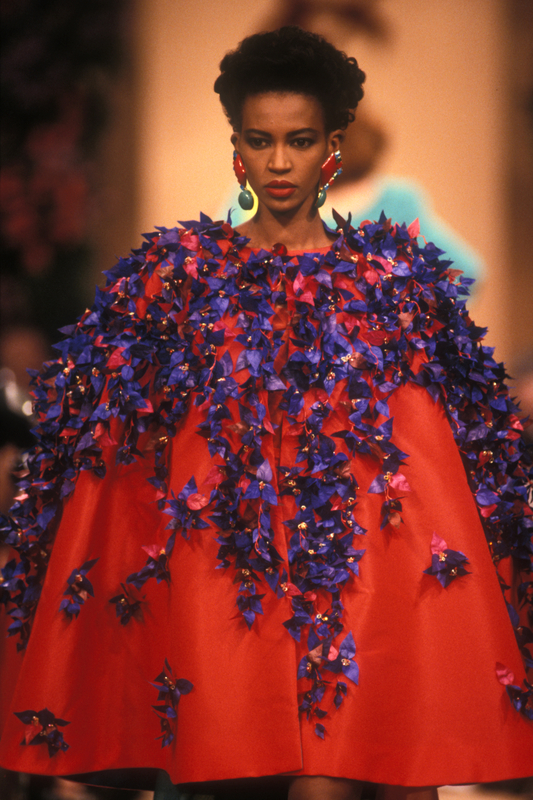 Not to mention the privilege to walk the halls and spaces where just a few days earlier, my idol Suzy Menkes has been. 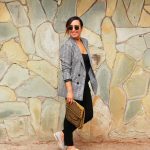 I still cannot get over that day! 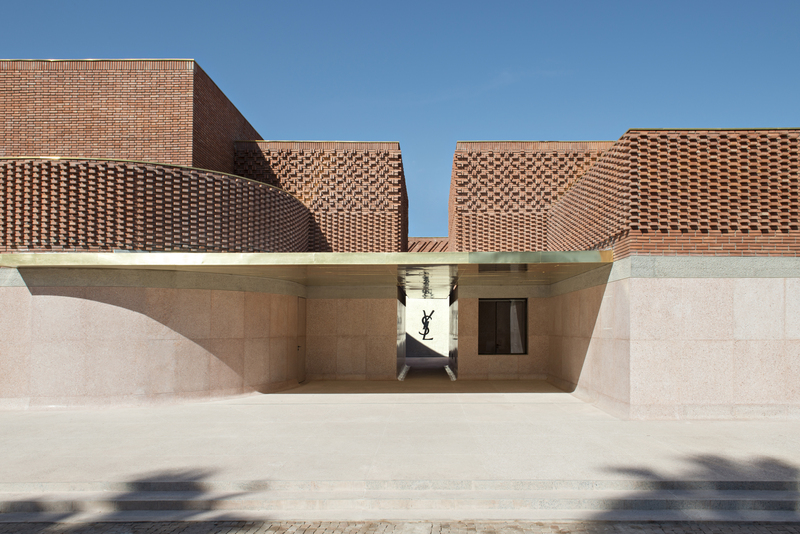 And, only once the visit finished, and the haze from seeing the works of Saint Laurent this close has worn off, did I start to witness the architectural chef d’oeuvre by Studio KO, that is the Musée Yves Saint Laurent Marrakech. 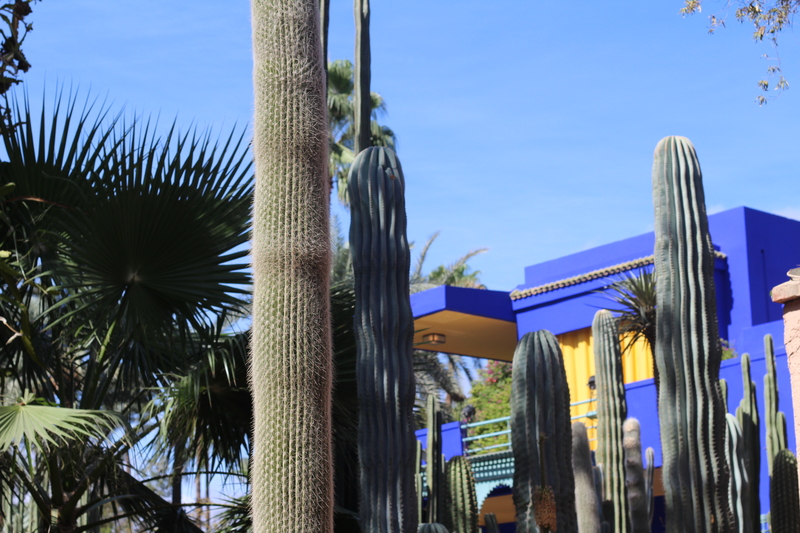 Not done yet with “Rue Yves Saint Laurent” (where the museum is situated), it was only fitting that I made a day of it, and tour the famous Jardin Majorelle as well, and Le Musée Berbère. A visit made only better and special with having my mom by my side; a certified “Berbère” herself, who went real deep in explaining every single piece exhibited. Even though I could not document the whole tour of the Musée Yves Saint Laurent Marrakech, for the obvious restriction on taking photos. However, the images from that magical place will forever be imprinted in my head! 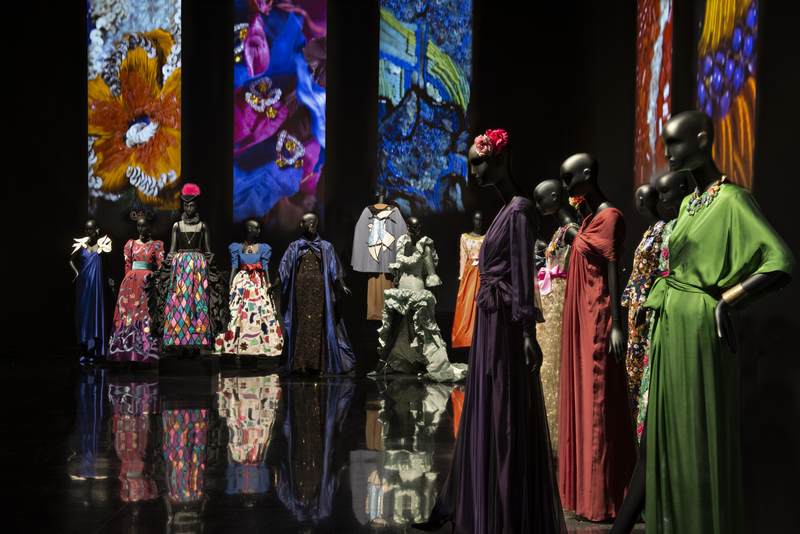 And they hopefully will be joined by the images from the Musée Yves Saint Laurent in Paris, that I wish to visit some day!